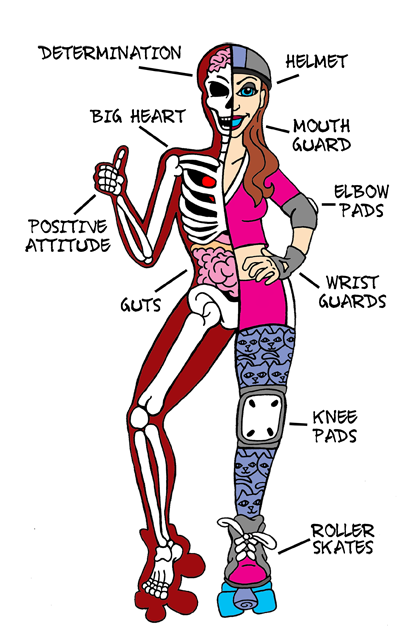 How to choose your first Roller Derby kit. Welcome to Roller Derby! We hope you are excited to go to your first practices, nail your Minimum Skills, join your first scrimmage… as we were. 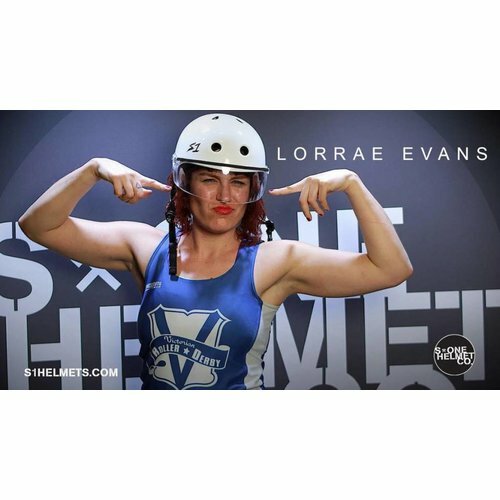 Roller Derby is a contact sport and requires protective gear to safely train and compete. And of course you need roller skates! But how do you start the process of choosing your gear? Everybody has (different) opinions and preferences, so let us get you some useful information so you can make an educated decision for yourself. way up to the head. Let’s be real: the choice of Roller Skates is overwhelming. 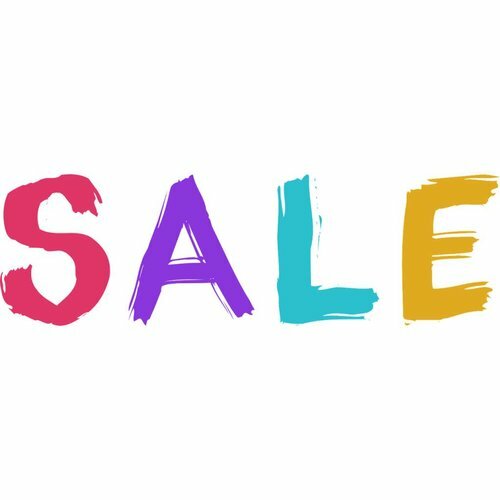 You will find skates from 50 euro up to a 1000 euro. Since we are talking Roller Derby, we will not consider the fun and recreational skates. These will not uphold for this type of roller skating, you will rip them apart. Since we are talking starting roller derby, we will not consider the high end roller derby skates either. You can invest from the start, but we don’t advise you to go too far, as you most likely do not have the experience to make decisions based upon your personal experience and requirements. So let’s stick to beginner skates for roller derby, and slightly touch intermediate skates for those of you considering. The Classic - Riedell R3 - You will see this skate everywhere you look around the track. It is the perfect entry level roller skate that can hold the rigors of learning how to skate roller derby. It comes with very basic wheels, so depending on the training venue, you might want to get an extra set of wheels that stick more to the floor, or slide more. 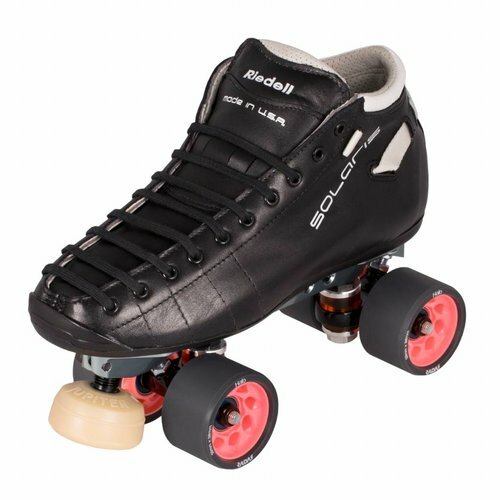 You can also go for the R3 Derby or R3 Hybrid, which is the R3 skate with an upgraded set of wheels and a set of toe caps to protect your skates. Of all entry level skates, the R3 is the one you want if you have standard to narrow feet. Chaya Ruby is a more recent addition to the entry level skates options, and is loved for its rigidity, agility and comfortability. The shoe has an ergonomic shape and the toe stop is a beginner’s favorite. This option is great for normal to wider feet. The Crazy Vxi has more padding and thus comfortability than any other option available. The toe box is soft and open, it can be laced wider and smaller as you please. This makes for a great choice for normal to wider feet. Other options are the Jackson Vibe, RD Revolution, Rookie Raw or even the Bont Prostar, Sure Grip Rebel, Sure Grip Rebel Avanti, or Chaya Sapphire. Attention! Roller Derby Skates can have weird sizes. Sizing runs different between brands and even between the different models from the same brand. Most sizes are US Men’s, which have no decent relation with European or UK sizing. We will always advise you to try on skates, but if you don’t have that option, we offer sizing guidelines on each product page. Tip! Trucks are the parts on your plates where your wheels and axles attach to. Most trucks are delivered really tight, which will impede crossovers and other skills. The tightness of your trucks will influence the mechanics of basic skills! Let a seasoned team mate take a look at your pre-assembled skates and adjust the trucks if necessary. Quarter turns will do! You HAVE to wear protective gear to skate roller derby, and believe us, you will WANT to soon, too! Especially when you are learning the basic skills and take your first steps into roller derby, it will be hard on your knees and wrists, for example. 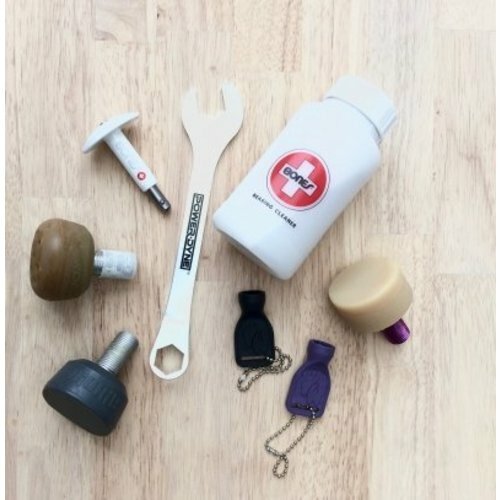 There are great pre-packaged sets available, but you might want to upgrade these as you’ll quickly learn why you need all this protection. Good knee pads are of utmost importance. If you can’t spend money on a full kit, let knee pads be your first investment while trading up the rest of your gear when you have the funds for it. Make sure they are a good fit so they can protect you the way they were developed to do. 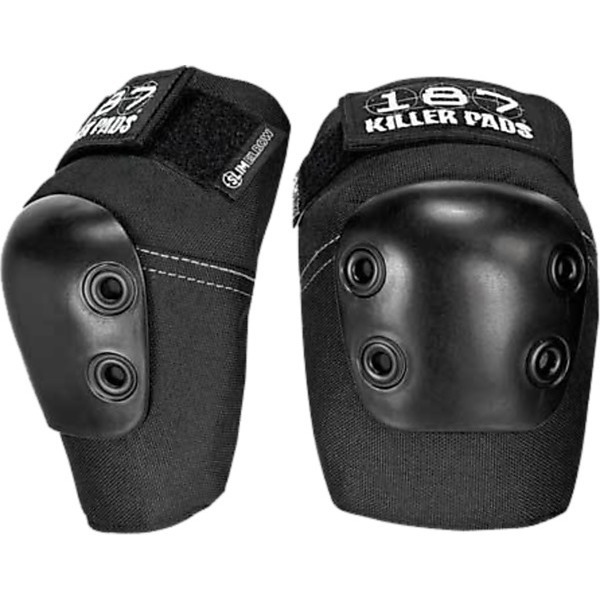 There are different types of knee pads, each with different types of foam or padding. 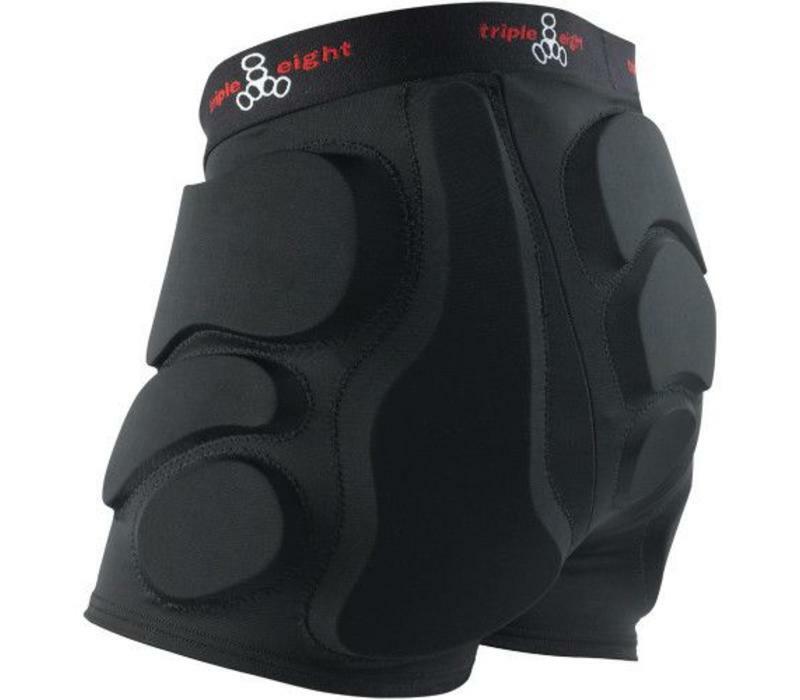 Mid range to high end knee pads have a ‘butterfly closure’ which means you can wrap them around your knees with straps. 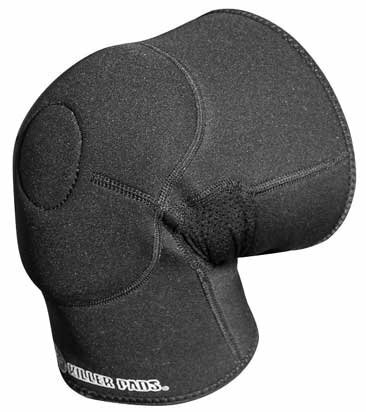 Lower end knee pads have a sleeve and need to be pulled up your leg (so don’t put your skates on first!). While there are different types of foam used for knee pads, generally the knee pads that require a bigger investment have thicker or more protective padding. We offer a selection of quality brands such as 187 Killer Pads, TSG Protective Gear, S1, Atom Protective Gear and others. Elbow pads are sneaky! If they don’t fit well, they’ll slip off your elbow to your lower arm, or you’ll even lose them completely. When it might seem you don’t really need them, take a look around in practice and check out the caps of your fellow skater’s elbow pads. Every scratch is proof of a moment their elbow pads kept them safe. 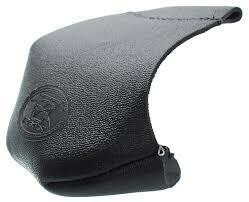 Elbow pads come in different thicknesses and lengths. There is an option for everyone. 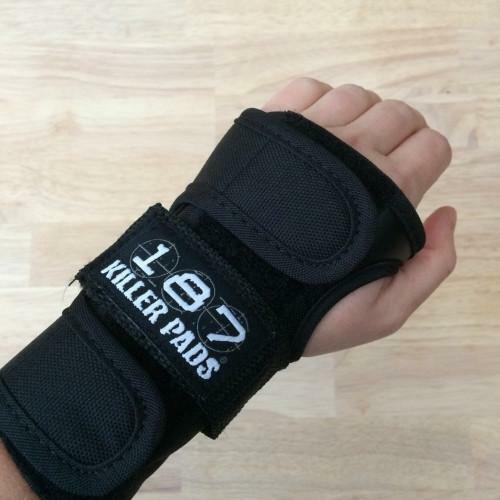 We really like the 187 Killer Pads elbow pads, for example. These come in different shapes. Smith’s or Ennui’s slide on models differ from a TSG or 187 Killer Pads 3-point-fixture in material and fit. You’ll find wrist protection with a splint on the palm of your hand, or with a split on the palm ànd top of your hand. Some splints even reach further up the arm. This will influence your maneuverability and your sense of safety. In general, the higher end wrist protection are made of stronger material. A properly sized and fitted helmet is one of the most critical pieces of safety gear you can wear in Roller Derby. 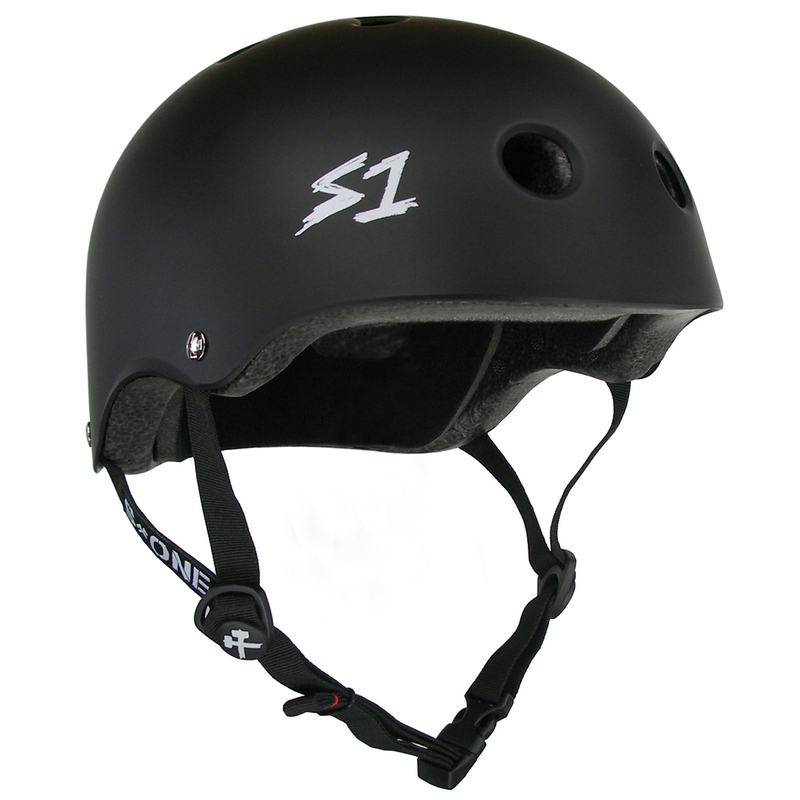 We only offer helmets which are sufficiently safety certified to play Roller Derby, skate in the streets or hit the skate parks. These multi-sport helmets come in different shapes and colors. A helmet should feel snug and should be worn well to protect you. When shaking your head from left to right, the helmet should not move around your head. If a helmet gives you pressure and feels like it will give you a headache, try a bigger size. As the foam wil set a bit, be sure to not purchase a ‘loose’ helmet. Read more about how to size and fit your helmet right here. There are a zillion mouthguards on the market with all types of characteristics. With or without a helmet strap, big & small, flavoured, custom and so on. 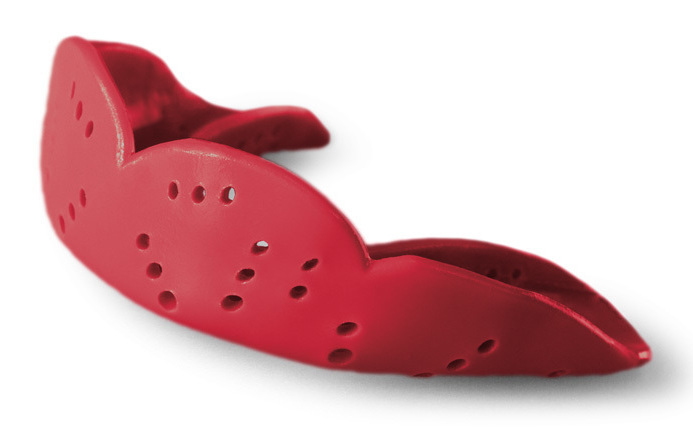 We like the SISUs as they don’t make you drool, provide superior protection, are moldable to your teeth, and let you drink and talk with your mouthguard. Don’t ever let anyone tell you mouthguards prevent concussions. That has not been scientifically proven. Good mouthguards will disperse the energy of a hit’s impact, though. For roller derby practice, get indoor wheels. Outdoor wheels are cheaper, but are for … outdoor skating. Most of the time different colors mean different hardnesses but check the info per product on our website to find the correct information per wheel. If you can, try some wheels of your new team mates and/or ask around what works for them. 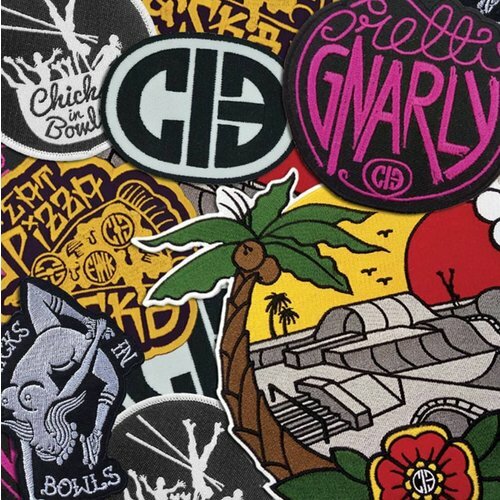 Reading up on the internet can be tricky, you don’t know what surface someone is skating on when claiming they know the ‘best wheel in the world’, for example. Our website lets you select wheels based on their price, hardness, size and brand. Popular wheels to start are SG Fugitive, Atom Poison, Atom Snap … as these are of good quality and will provide you with stability to learn your minimum skills; and the Sonar Bracer, Sonar Striker, Radar Pop, SG Sweet ’n Low, SG Fugitive Mid, Radar Villain Slim, … for more agility. 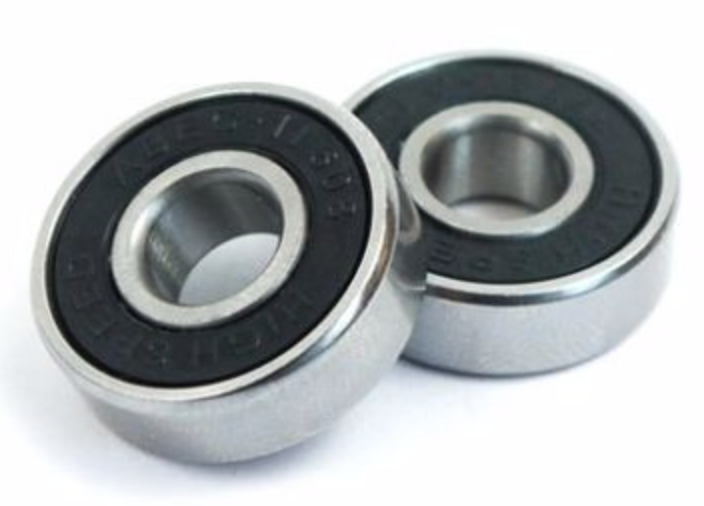 Bearings - Bearings are sometimes rated with ‘ABEC’ followed by a number, ranking the bearings from fast to fastest. 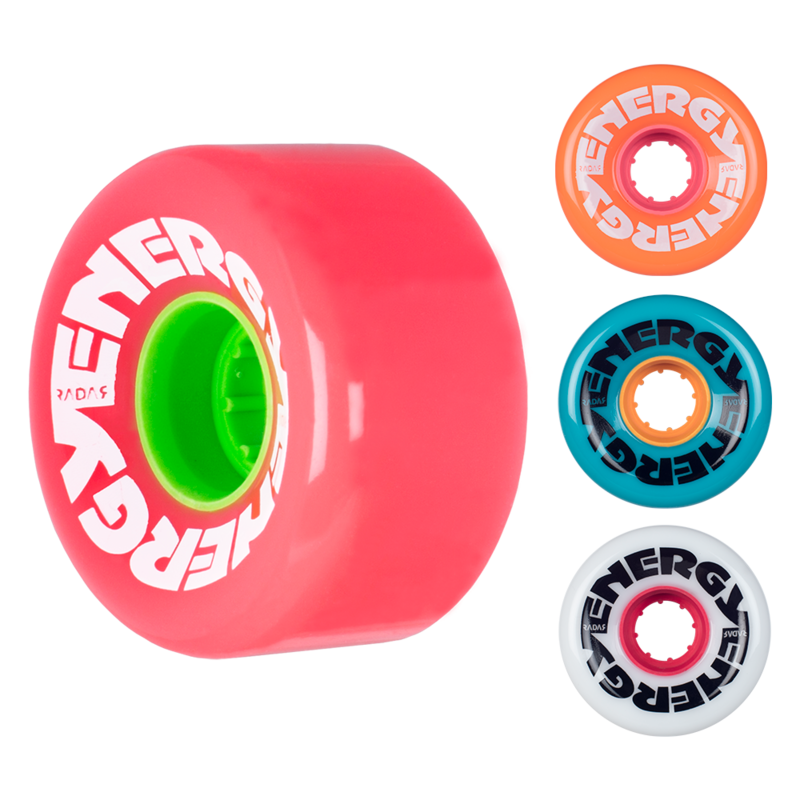 ABEC ratings are not to be used for skating, but they’ll give you an idea when purchasing your first set. Anything higher than 5 will be good to get you going, right now. Most of the time, price and quality go hand in hand, the more expensive the bearings, the faster they’ll roll or the better material they’re made of. When you’re comfortable with your skills, you can upgrade. Don’t go for expensive bearings for outdoor skating. Toe guards - These protect your skates from damaging at the front of the boot. When learning how to fall properly, you’ll drag your skates over the floor, asking a lot from your skates’ material (be it synthetic or leather). Derby is hard on roller skates, toe caps or toe guards will help your boots last longer. Some skates require specific toe guards or toe straps, you will find that information on the product page of the toe guards/toe straps. 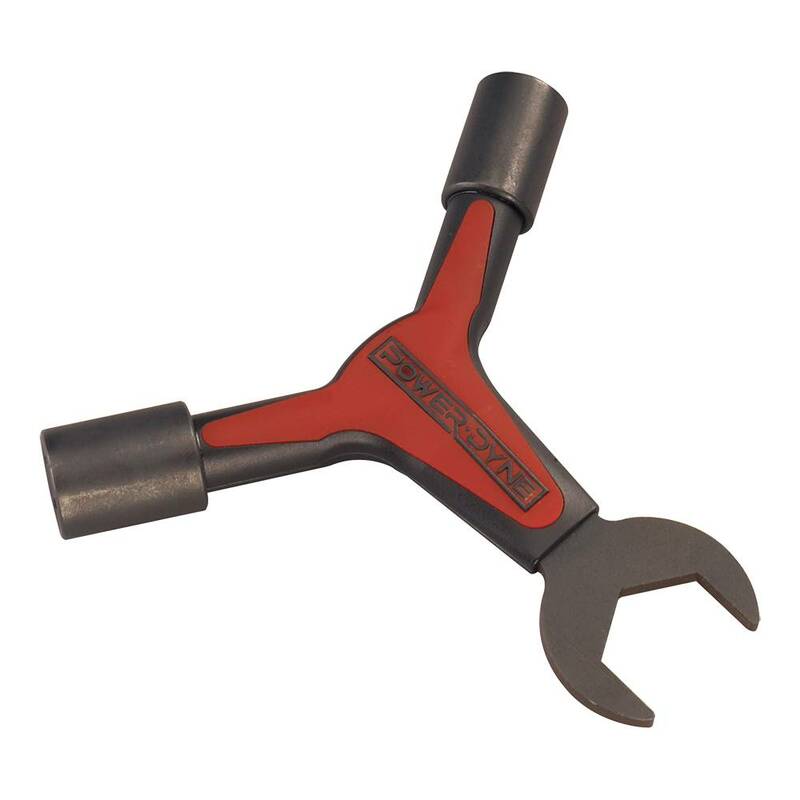 Skate tool - Very practical to tighten and change your wheels or to fix your toe stop and trucks. Knee gaskets - If you want extra support around your knees, knee gaskets might be of help. These are sleeves with protection to we born under your knee pads and work complimentary to your knee pads. Crash pants - As you’ll learn how to keep balance in both basic drills and contact drills, crash pants might save you from a lot of tailbone pain when falling. These pants used to be very unflattering, but there are more elegant versions available, including pants that can be worn under your shorts in a discrete fashion. 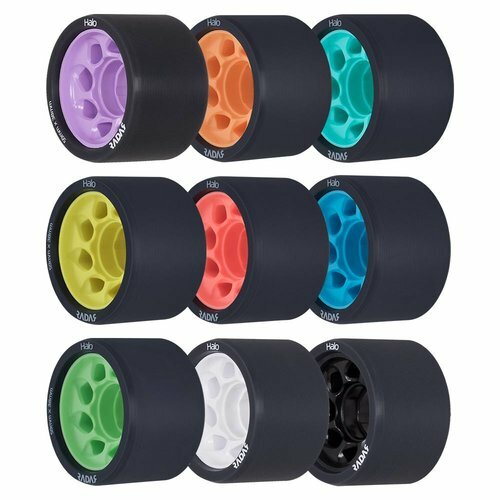 Outdoor wheels - When you want to practice outside or go for longer distance skating, get yourself a set of outdoor wheels. Indoor wheels will wear out way faster outside and it’s a shame to ruin your investment that way. Outdoor wheels come quite cheaper than indoor wheels anyway. They are softer and will handle rolling over little rocks and twigs and all these other tiny things on the road. To switch wheels easier, you might want to put a separate set of cheap bearings in your outdoor wheels. Not a must, though. This is a lot of information, we know. However, it is our effort to help you for your first Roller Derby kit. If you have ever any question, don’t hesitate to get in touch with us. We are here to help you!